Objectives The patient centered medical home is now widely supported as a strategy for delivering high quality primary care. The objective of this study was to examine whether children’s primary care experiences nationally have become more aligned with the medical home model over time, and how this may have varied for vulnerable children. 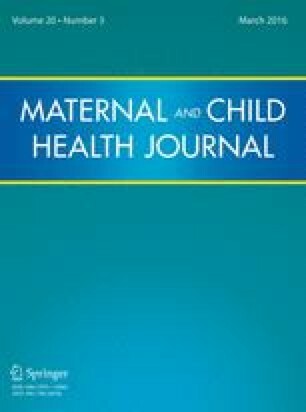 Methods This study analyzed data on 289,672 children, aged 0–17 years, of families responding to one of three iterations of National Survey of Children’s Health from 2003, 2007 and 2011–2012. Each year, we assessed indicators of four medical home features (access, continuity, comprehensiveness, and family-centeredness) and a total medical home score for children nationally and for those with a set of social and demographic risk factors. Results Indicators of access and continuity, and total medical home scores fluctuated but improved overall from 2003 to 2012 (7.1, 6.7 and 1.4 % point increases, respectively), while indicators of comprehensiveness and family-centered care measures declined (2.4 and 1.8 % point decreases, respectively). Children with the highest levels of social and demographic risk experienced larger fluctuations in these measures over time. Conclusions for Practice There were improvements in the extent to which children’s primary care experiences aligned with a medical home model, though not linearly or for all component features. Children with more risk factors experienced more volatile changes, suggesting a particular need to attend to the primary care experiences of the most vulnerable children. National Survey of Children’s Health. (2003). Maternal and child health bureau in collaboration with the national center for health statistics. 2003 NSCH Stata Indicator Set Prepared by the Data Resource Center for Child and Adolescent Health, Child and Adolescent Health Measurement Initiative. http://www.childhealthdata.org. National Survey of Children’s Health. (2007). Maternal and child health bureau in collaboration with the national center for health statistics. 2007 NSCH Stata Indicator Set Prepared by the Data Resource Center for Child and Adolescent Health, Child and Adolescent Health Measurement Initiative. http://www.childhealthdata.org. National Survey of Children’s Health. (2011/12). Maternal and child health bureau in collaboration with the national center for health statistics. 2011/12 NSCH Stata Indicator Set Prepared by the Data Resource Center for Child and Adolescent Health, Child and Adolescent Health Measurement Initiative. http://www.childhealthdata.org. Centers for Disease Control and Prevention, National Center for Health Statistics, State and Local Area Integrated Telephone Survey. (2013). National Survey of Children’s Health. http://www.cdc.gov/nchs/slaits/nsch.htm. Centers for Disease Control and Prevention, National Center for Health Statistics, State and Local Area Integrated Telephone Survey. (2013). 2011-2012 National Survey of Children’s Health Frequently Asked Questions. http://www.cdc.gov/nchs/slaits/nsch.htm. Rudowitz, R., Artiga, S., Arguello, R. (2014). Children’s health coverage: Medicaid, CHIP and the ACA. The Henry J. Kaiser Family Foundation. http://kff.org/health-reform/issue-brief/childrens-health-coverage-medicaid-chip-and-the-aca/. Accessed 15 Dec 2014. Kenney, G. M., Alker, J., Anderson, N., et al. (2014). A First Look at Children’s Health Insurance Coverage under the ACA in 2014. Health Reform Monitoring Survey. http://hrms.urban.org/briefs/childrens-health-insurance-coverage-under-the-aca-in-2014.html. American Academy of Pediatrics Pediatric Practice Manager Association. Effect of Economic Recession on Pediatric Practices. (2009). http://www.aap.org/en-us/professional-resources/practice-support/practice-management/Pages/Effect-of-Economic-Recession-on-Pediatric-Practices.aspx.